Thanks for the great review, heaps. It was a pleasure serving you as a customer. Excellent set-up & staff so good! Long-time staff member(Steve)has relocated offices & been"upgraded" to manager which I congratulate him for & think he'll do a fine job @!! I've been an on-off customer for years & this is why I give such a positive review as generally & in comparison to the other storage shed facility in the past I'd to use(rent-a-shed Labrador-never got there! )this is a huge upgrade me renting my shed here!The security here as another person who's used "Storage King" was pleased with is worth perhaps the tiny bit extra I pay here-worth every cent as the other sadly as it turned out wasn't..Didn't have to pay a"security deposit" here either & it's marvellous the"month free" offer they've throughout the year @ certain times.My storage needs are meet here & I'm always telling people who I think might require a storage shed this is the place to go!! Very dissappointed in the way I was treated at storage King! Was promised the deal of pay for a month get a month free but didn't receive this! I would highly recommend Storage King Miami and the team there, The place and storage units were clean and accessible. The boys were always very helpful and dealt with requests in a very timely manner. Great to deal with them. Great service from these guys. Plus Courier drop and forklift ability! I cannot begin to tell you how amazing the service is at this place, Kerin and Matt have been wonderful and have made this whole process a delight. The facility is amazing and clean and I always feel so welcomed; there is never enough these guys can do for you. Thanks Guys! Welcome to Storage King Miami. We are conveniently located centrally on the Gold Coast. We understand how stressful it can be. Why not let our team handle it for you? 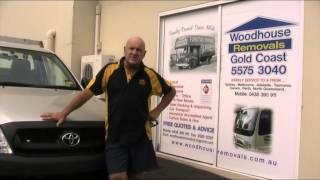 We can help with packing tips, recommended removalists (in and around the Gold Coast region) & how to make the most of your storage space. Storage King Miami proudly services Mermaid Beach, Broadbeach, Burleigh Waters, Varsity Lakes, Clear Island Waters, Mermaid Waters, Broadbeach Waters and Gold Coast.